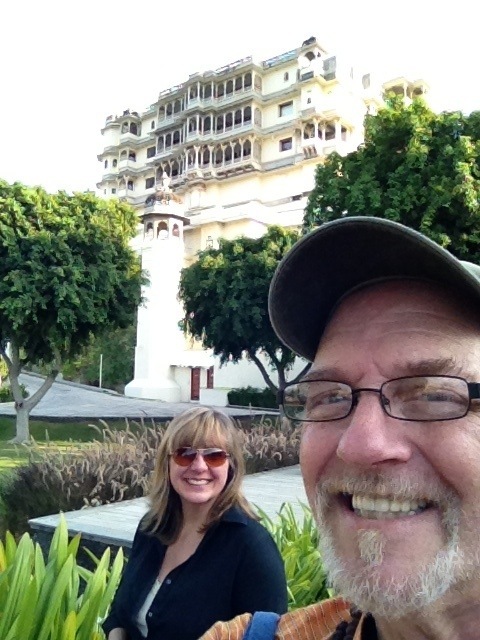 Before we left Devi Gargh, Scott suggested I go see the 900 year old Jain temple in the village without him. Scott has always encouraged me to get out there and take a break from making art in my studio, too. Since Scott was not up to sightseeing, a hotel guide went with me and asked me if I had heard of their local saying “no hurry, no worry, no curry”. It’s basically the equivalent of no problem or take it easy. Stop and smell the roses. Great advice. None of us knows how much time we’ve got, do we? This entry was posted in Uncategorized and tagged camel bells, devi gargh, Going to Goa Blog, india, Katy Allgeyer, Scott Morgan. Bookmark the permalink. Cow Bells. 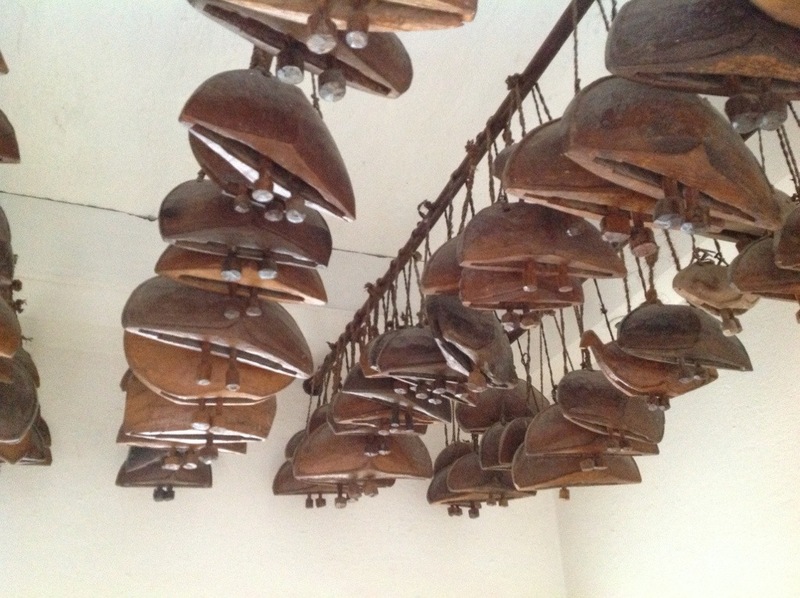 Beautiful wooden bells. Those are clearly the first wooden cellular phones used in India, right ? Thank you for following and taking the time to post encouraging words. We do so appreciate it. Thank you for following our blog and taking the time to make comments.